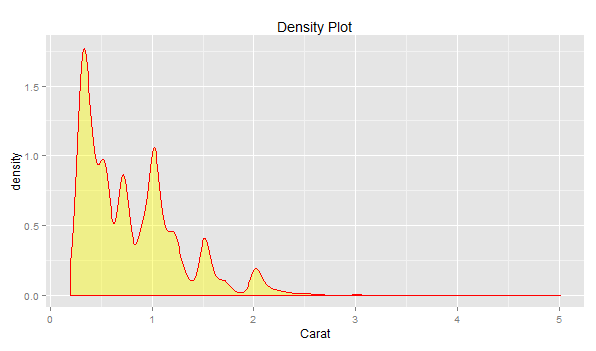 Learn to create multiple density curves or plots using ggplot2 package in R programming language. This article represents code samples which could be used to create multiple density curves or plots using ggplot2 package in R programming language. Please feel free to comment/suggest if I missed one or more important points. The following code represents density plots with multiple fills. Pay attention to the “fill” parameter passed to “aes” method. 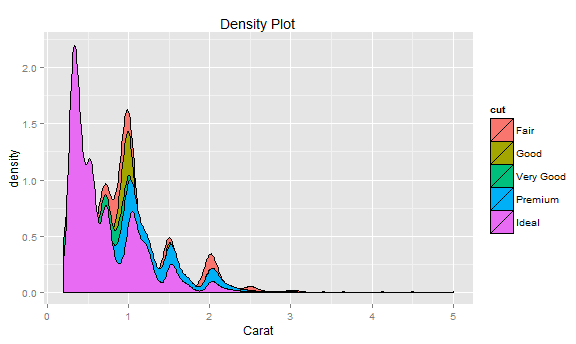 Following plot demonstrates the density plot with single fill.